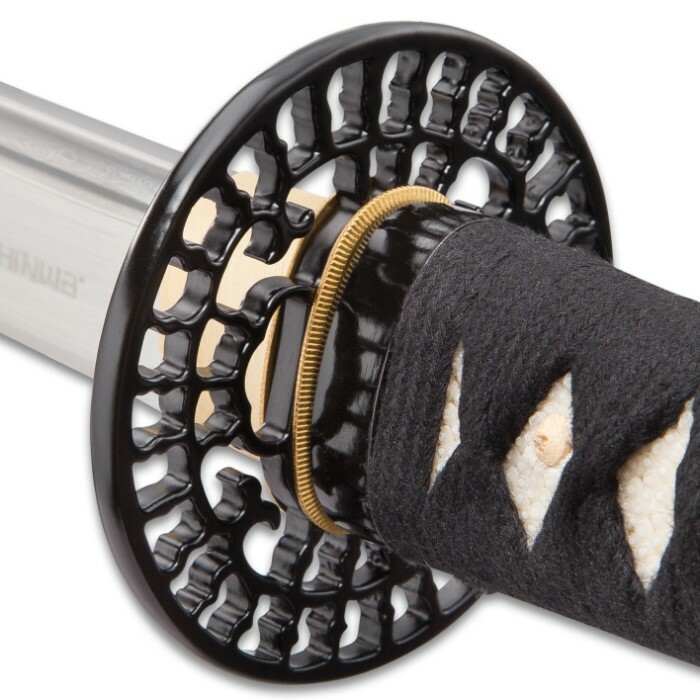 In this katana, you are getting one of the greatest values on the sword market today. The 28" full-tang blade has been hand-forged of 1045 and 1060 carbon steel that has been folded 11 times resulting in 4096 layers. The hardwood handle is wrapped in genuine rayskin. It also features a brass habaki and menuki and an antique-finished tsuba and kashira. 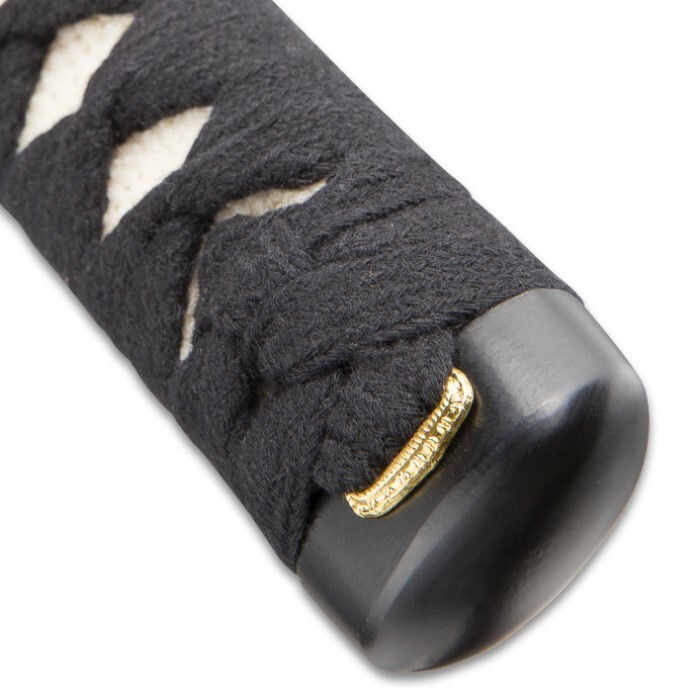 A wooden hand-lacquered scabbard houses this magnificent katana. 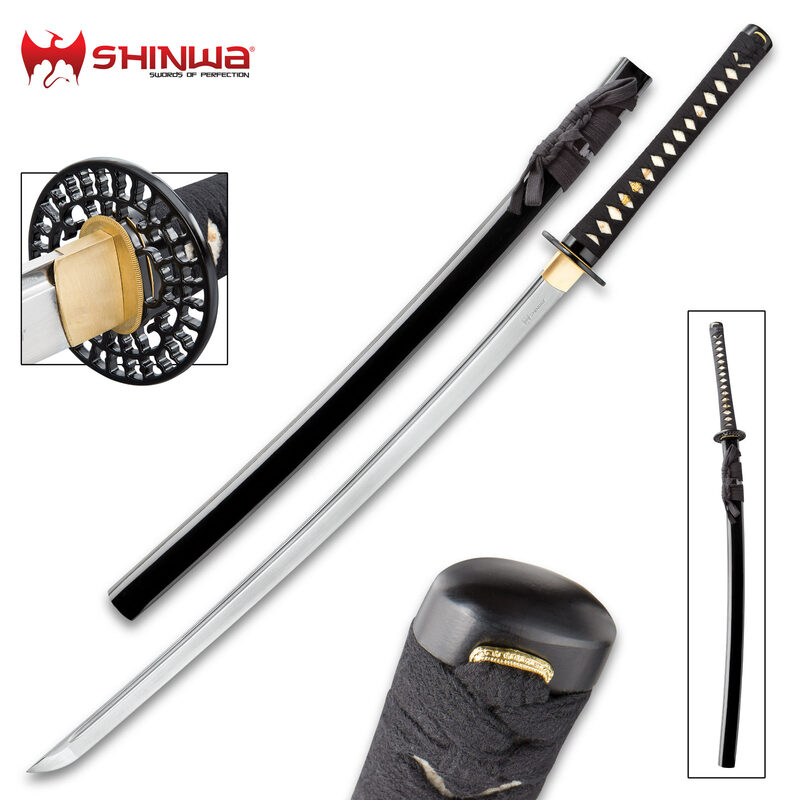 Shinwa swords are made by hand using traditional methods in the ancient sword-making township of Lonquan. The sword-making history of this town can be traced back to the twentieth year of the Guangxu in the Qing Dynasty – exceptional sword making continues there still today. 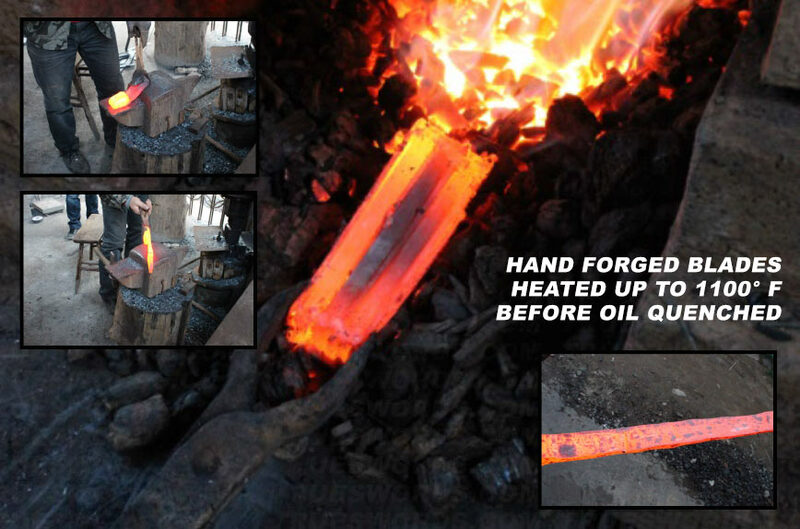 The swordsmiths of Lonquan can apprentice for up to six years before they begin to forge these functional works of art on their own. Wow. Most likely Shinwa's best. 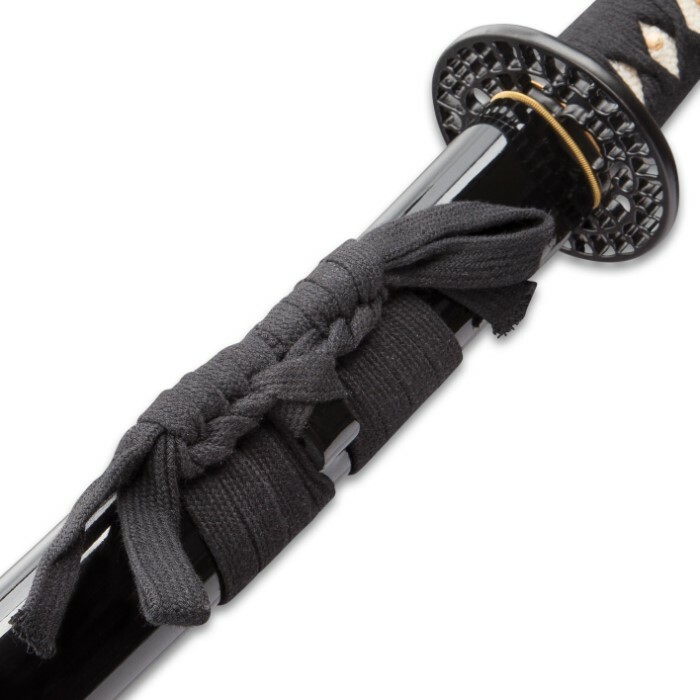 I have many swords, most of them katanas. This Shinwa katana is by far the best quality sword I have purchased from the company. Very well put together with a beautiful Hamon line. You can tell it's not a fake Hamon via acid etch because it's only visible in the right light. Just like it should be to reveal a true clay tempered Hamon. The fit and finish is amazing and feels fantastic in the hand. I've done martial arts from child hood holding several black belts and even an international ranked 2nd Dan black belt with the Kukkiwon world Taekwondo federation. 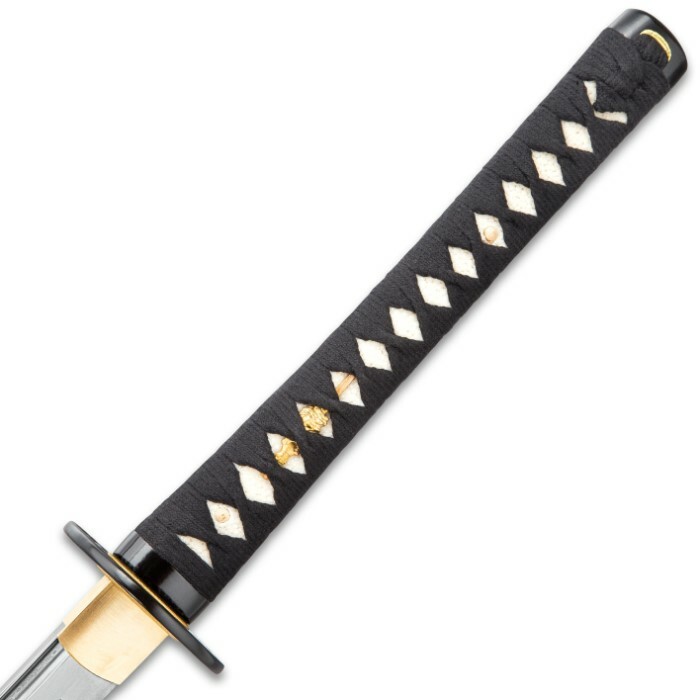 I don't mean to brag just want you to know I've held many weapons over the years and this one is by far the best katana for under $500.00. I bought this sword a few weeks ago and it is absolutely fabulous. Taking price and quality and performance into consideration it's an amazing deal and is worth the purchase for anyone who plans to use or display it.